In this month’s issue of Wired the publication has printed details of how to create your very own Raspberry Pi smartphone using a GSM module complete with antenna and audio outlets together with a touchscreen and of course an awesome Raspberry Pi mini PC. David Hunt is an Irish programmer, photographer and maker who loves tinkering with Raspberry Pi. 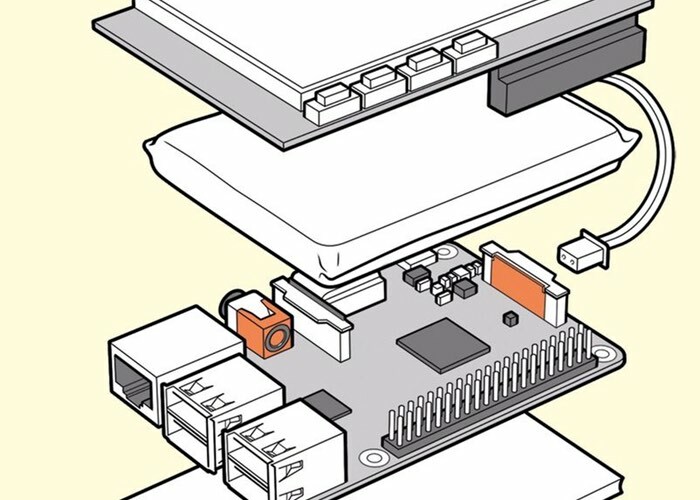 He started thinking about building a Raspberry Pi-based smartphone when he came across a DIY “digital camera” prototype that combined the modifiable microcomputer with a TFT touchscreen. The script you will need to install on your Raspberry Pi can be found over on the GitHub website following the link below.More details and full instructions to over to the Wired website via the link below. If you enjoy building Pi projects you might be interested in our comprehensive list of Raspberry Pi displays, HATS and small screens.